Omnichannel solutions are not a new topic in the affiliate marketing space, but at least one variety doesn’t get the credit it deserves. While it’s widely known that offers and coupons can greatly increase sales, revenue, average order value and even brand loyalty, it’s less understood that card-linking solutions can be a brainlessly simple way for an advertiser to not only garner all the benefits of traditional couponing, but create a process that is frictionless for all involved. So what is a card-linked offer? Basically, it’s a digital offer that’s loaded directly onto a consumer's credit or debit card. Deals are magically realized on the customer’s statement without an integration effort on the part of the retailer. There's no cutting or printing coupons, no loading individually-branded coupon apps, no time-consuming mail-in rebates, and for the retailer, zero integration. The use of card-linked offers. McKinsey, a global management consulting firm, found that the use of load-to-card mobile and digital coupons have more than quintupled in each of the past two years as marketers shift their focus to digital coupons good only through retailer loyalty programs. The consulting firm also predicted digital couponing will overtake all forms of print coupons, with the exception of newspaper Free Standing Inserts (FSI), within five years. Additionally, McKinsey predicts load-to-card and mobile coupons will continue to grow distribution by around 50% annually from 2015 to 2019. Why is it so important to focus on in-store, brick and mortar strategies? Over 90% of purchases are still made in physical stores. Consumers love a good deal and they'll take to the internet to find it. Upwards of 80% of shoppers are on mobile while in a physical store. For affiliates: Offers to consumers can be made on the spot, and tracked back to the referring publisher for a commission. For consumers: No more printing coupons, no more debating on whether to buy in-store or online while you’re on your phone; the same offers are all available no matter where the consumer is. For advertisers: The knot has now been tied between online and offline shopping. They can empower better shelf space negotiations with the retailer and track online advertising to offline purchases. For retailers: Increased in-store traffic and resultant sales. Working with Cardlytics, Bank of America's BankAmeriDeals program has been used by over 200 million customers that have made $500 billion in purchases. And that's been of great benefit to the 4,000 advertisers who have signed up for the program. Nashville-based card-link company Edo has extended billions of offers to the 200 million cards it has with three of the top 2ix financial institutions. Another card-link company, Quotient, has brought the approach into the affiliate space by offering a performance-based program to advertisers who publish offers through their system. 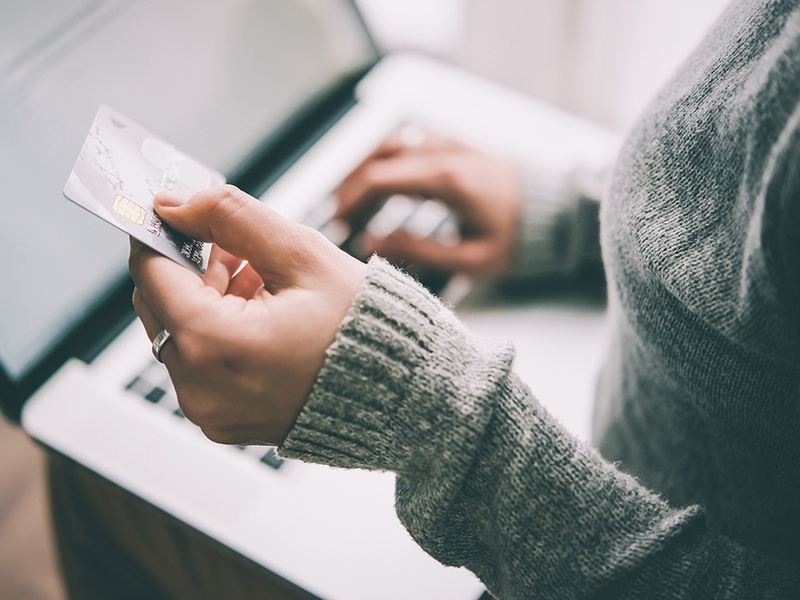 When shoppers visiting Quotient’s affiliate sites choose to buy in-store, their card is automatically linked and the discount or rebate is triggered at retail check-out and processed by the network through the financial institution. In terms of advertiser-side implementation, this approach amounts to a simple integration that automatically propagates the offer details to any affiliate the advertisers desire. An added benefit for the advertiser is that detailed coupon discount origination data can be provided—proving to the retailer that the advertiser drove a specific amount of traffic into the store and generated a specific amount of sales. This information can be used by the advertiser to negotiate better shelf position and other benefits with the retailer. Everyone knows coupons work. But card-linked offers get around a myriad of problems that exist with clip or code coupons such as last click attribution and the inability to draw a detailed correlation between the efforts of the affiliate, the advertiser and the retailer in a way that allows for each to be compensated properly and fairly.